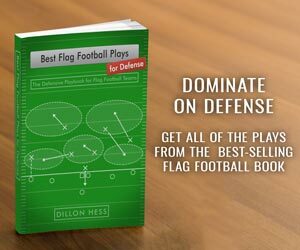 The Cover 2 play is the standard-bearer of zone defenses. 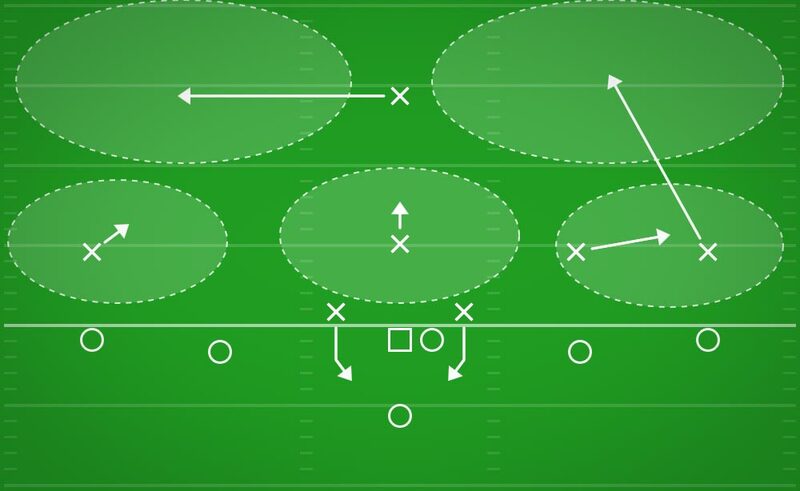 The Cover 2 Zone defense allows you to evenly spread your defenders across all the zones of the defensive secondary. 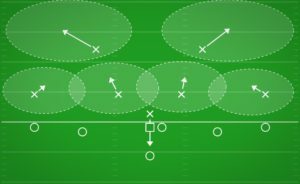 Splitting the deep part of your defensive secondary with the two deep zones enables you to keep a lot of support underneath. 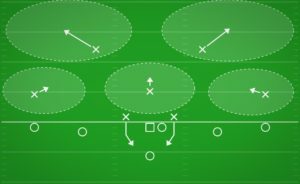 You will generally want to shift your best Safety towards the strong side of the offensive formation, but feel free to mix it up so that your defense does not become too predictable. Cornerbacks can sit in the flats to wait and poach quick passes. 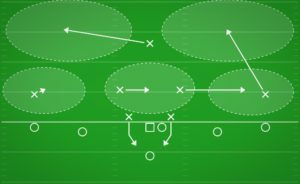 For example, a Cornerback guarding the sideline can sit and spy out receivers coming towards him, like a quick out route, and jump in front of the route to make a play on the ball. If the Cornerback can grab an interception, there will be nobody in front of him and the end zone for a complete pick six. If no receiver is staying underneath, however, the Cornerbacks should “carry” with the receivers going deep. 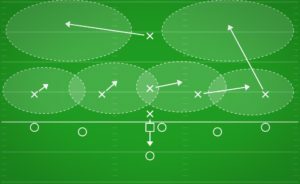 Meaning they should follow underneath the receiver as he enters the deeper zone to disrupt a pass attempt from the quarterback before the receiver has been passed off to the Safety waiting in the deep Cover 2 zone. 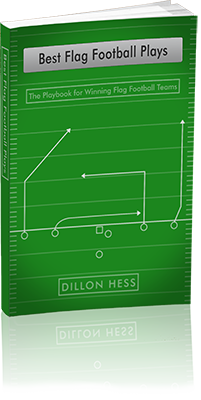 The weakness of a Cover 2 defense is if the offense sends three receivers deep. 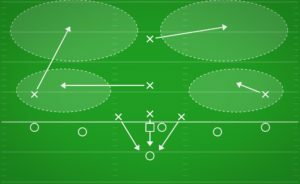 If two receivers run down the sidelines, and one runs up the middle, then the offense has created a 3 on 2 opportunity against your defense. Therefore it is critical for your Safeties to be athletically gifted and quick players who can cover as much space as possible and quickly readjust to the ball when it is thrown deep into their zone.